My bottle opener is cooler than your bottle opener. After realizing that I’ve been drinking gallons of Heavy Seas but haven’t bothered to review any, I took it upon myself to buy a case of Treasure Fest Oktoberfest Lager merely to write a post on the subject. One of the problems I’ve had with specialty and seasonal beers is that having too many sometimes ruins the novelty of the new flavor. While I’m certain I’ll easily finish all 24 of these – Heavy Seas has been one of my favorites lately – downing yet another Oktoberfest (I just polished off a case of Samuel Adams Oktoberfest and had been planning on buying the sold-out Flying Dog Oktoberfest) makes me wonder when the winter beers (aka Gingerbread beers – because that flavor NEVER gets old) are coming out. 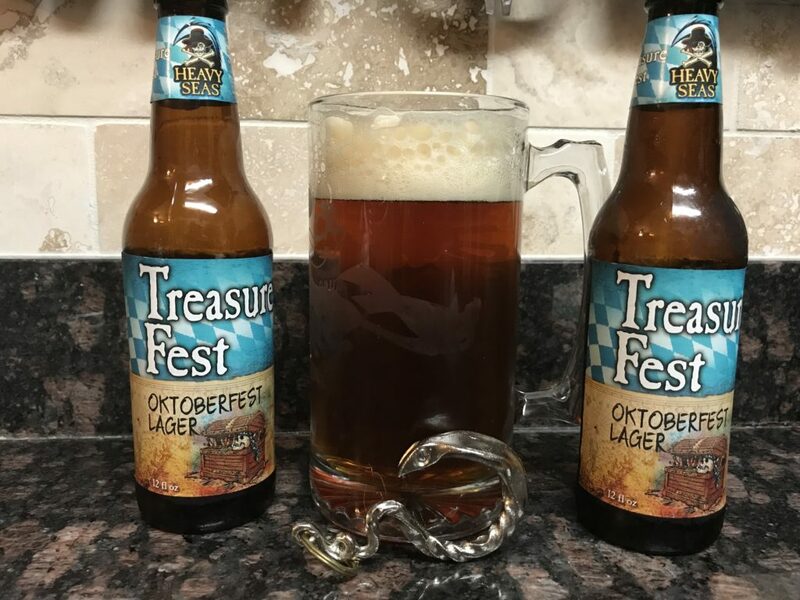 Treasure Fest has that classic Oktoberfest flavor – perhaps sweeter than I’d prefer – and I’ll enjoy drinking the case, but won’t be in any hurry to restock. In fact, I may already be ready for Novemberfest.